/ Does God Curse Those Who Curse Israel Today? Boomerang Effect When Blessing and Cursing Israel? Similarly, given its centrality to prophecy, there are going to be theories revolving around Israel. One popular theory is that the special status that Israel clearly has as God's chosen nation includes an amazing protective covering today of a "law of cursing reciprocity." The cursing reciprocity principle says that any nation which curses Israel will be cursed in return automatically and immediately. Advocates typically connect the curse to boomerang negative event the same day or a few days later. They also allow for a gap of weeks before the curse appears. This theory was introduced to me through the writing of John McTierman and Bill Koenig and their book book Israel: The Blessing or the Curse (2001). Koenig later wrote further about it in Eye to Eye: Facing the Consequences of Dividing Israel (2006). The books had collections of examples to prove this principle. Their biggest example was the 1991 hurricane dramatized in the film The Perfect Storm (2000). McTierman claimed that the unusually powerful storm came upon America because President George H. Bush promoted the Madrid Peace Conference, where he attempted to divide the land of Israel in exchange for “peace” with the Palestinians. In karmic fashion, even Bush's own house in Kennebunkport, Maine suffered damage from that massive storm. There are always new events to fit into this narrative and new waves of prophecy writers reviving this theme. As happens again and again (remember the Oslo Accords of the 1990s?) the world powers go against the "stumbling block" of Israel (Isa 8:14). Jonathan Cahn of The Harbinger fame has connected Trump's win and Obama's resulting jeopardized legacy to this principle. When you see US presidential actions (like Obama's) or UN resolutions (like Paris on January 15, 2017) or statements against Israel, should you brace yourself for the wrath of God to fall? Let's analyze the proof. Genesis 12:3 — I will bless them who bless you and curse him who curses you, and in you [Abraham] all families of the earth will be blessed. Genesis 27:29 — May nations serve you [Isaac] and peoples bow down to you. Be lord over your brothers, and may the sons of your mother bow down to you. May those who curse you be cursed and those who bless you be blessed. There is no question that there is a clear covenant of reciprocity for blessing and cursing taught here. It's pretty amazing when you consider it and you don't want to find yourself cursing someone under the protection of such a potent covenant like this. But you also don't want to get it wrong on who this covenant applies to. So does it apply today to modern Israel? Some readers will have already spotted what's wrong with applying these verses to Israel. Hint: proof-texting, or finding a verse, any verse, even tangentially on the same topic as your theory to back it up (and disregarding what it's really about). With how commonly proof-texting is used in Christianity, you would not know that this breaks one of the foundation rules for interpreting the Bible correctly: paying attention or regard to context. The principle proof-texting often violates is the rule of audience. In both verses above, the audience or subject is one of the patriarchs. It's not talking about the nation of Israel, let alone the modern nation of Israel 3500 years removed from ancient Israel. As for righteous Abraham and Isaac, it's easy for me to accept that, for as long as they lived, they were protected in this way. They were righteous men with a special calling. But what about their descendants who those verses do not directly speak about? We can see from this that the "boomerang curse covenant" indeed did continue on through to the nation of Israel at least until then. As an example of the covenant manifesting, we can look to the exodus. When Pharaoh refused to release Israel from slavery, he received the Ten Plagues on his nation. Some believe Egyptian records show a time of tremendous economic collapse that could link to the loss of the firstborn and other nine plagues on the nation. Egypt today is unrecognizable as the one time world empire ancient Egypt was. In fact, it's classified as a Third World nation. However, the verse above is speaking about Israel 3500 years ago, when Israel was under the Old Covenant and favored with release from slavery and on their way to the Promised Land still. Special protections were needed for the fledgling nation. There had to be grace. Then Israel rebelled continually the grace ran out. They were conquered and ejected from the land. First the northern ten tribes, then the two southern tribes. The prophets stopped coming and warning them to keep Torah as that covenant which essentially gave them dwelling rights in the Promised Land as long as they were obedient, was over (Heb 8:13). Ten of the twelve tribes lost their identity as a result of being scattered to the nations. Only the House of Judah (the Jews) is identifiable today and has partially returned. 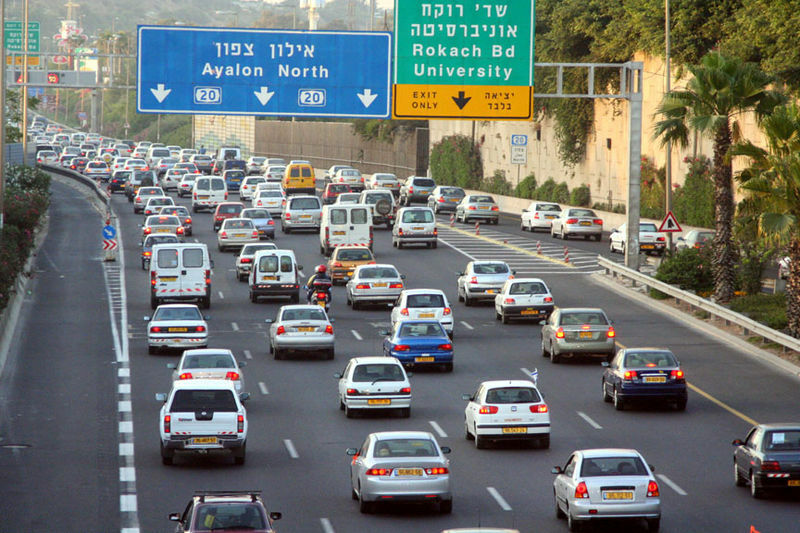 If we look at it objectively, modern Israel today is like all other major developed nations, made up of sinful people who don't pay much heed to God or his law and led by sinful leaders. That's just an effect of modern life as the Letter to Laodicea describes so well about this age of the rich, comfortable, spiritually blind church (Rev 3:15-18). As such, we see that Israel had the Holocaust and is subjected to terror and persecution continually. They have a tiny state and do OK, but they have no oil and are surrounded by enemies who do. Although I'm speaking my view about Israel in love, don't get me wrong, I love Israel and support this persecuted country. I'm just not looking at the nation with rose-colored glasses. 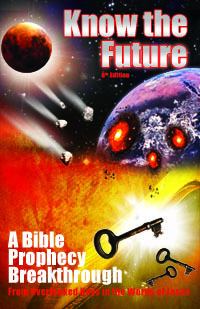 I'm also too aware of what prophecy says about Israel's fate in the near future. Zechariah tells us that Israel will be conquered by the Antichrist shortly after they build the Third Temple with them exiled from Jerusalem (Zech 14:1-2). Many Christians are bothered with how Jews reject Jesus as Messiah. But what if I were to tell you that Israel will fight against Jesus at his return? Zechariah indicates this. Because they are taken over by the Antichrist, "even Judah" is said to fight against Jesus at his return to Jerusalem (Zech 14:2-3, 14). Modern Israel is mostly Jews or Judah which is why they almost named the country Judah, not Israel. Are Israel's Jews Fake, Khazar or Edomite Jews? Wait, what did I just say? Israel is Jewish or Judah? Whenever you make a statement like that on the Web, the conspiracy theorists will arrive to dispute that. This leads to doubt among sincere believers that the people in Israel are really Jews. Could they be fake Jews or imposters such as Edomites or Khazars? After all, there are two verses in Revelation that mention people claiming to be Jews who are synagogue of Satan instead (Rev 2:9; 3:9). I encourage each person to consult good scholarship on this Edomite/Khazar question. My friend Nehemia Gordon is who I go to with questions like this. He spoke on this very idea that Jews in Israel are not real with Michael Rood on "Shabbat Night Live" the same night I put this article out originally (Jan 13, 2017). Actually, before I ever met Nehemia, I never believed in this fake Jew theory because I knew my Bible. I saw in prophecy that "Judah" (the real Jews) was specifically named in prophecy as involved in end times battles at Jerusalem. Zechariah 12:2-6 (NIV2011) — 2 “I am going to make Jerusalem a cup that sends all the surrounding peoples reeling. Judah will be besieged as well as Jerusalem. 3 On that day, when all the nations of the earth are gathered against her, I will make Jerusalem an immovable rock for all the nations. All who try to move it will injure themselves. 4 On that day I will strike every horse with panic and its rider with madness,” declares the LORD. “I will keep a watchful eye over Judah, but I will blind all the horses of the nations. 5 Then the clans of Judah will say in their hearts, ‘The people of Jerusalem are strong, because the LORD Almighty is their God.’ 6 “On that day I will make the clans of Judah like a firepot in a woodpile, like a flaming torch among sheaves. They will consume all the surrounding peoples right and left, but Jerusalem will remain intact in her place. Zechariah 14:2-3, 14 (ESV) — 2 For I will gather all the nations against Jerusalem to battle, and the city shall be taken ... 3 Then the LORD will go out and fight against those nations as when he fights on a day of battle. ... 14 Even Judah will fight at Jerusalem. And the wealth of all the surrounding nations shall be collected, gold, silver, and garments in great abundance. Anyway, don't believe conspiracy theories about who Israel is today; believe your own Bible. "As an online discussion grows longer, the probability of a comparison involving Hitler approaches 1"—​​that is, if an online discussion (regardless of topic or scope) goes on long enough, sooner or later someone will compare someone or something to Hitler. Despite the overuse of Hitler, sometimes the Nazis are directly related to a topic of discussion, as it is in the case of this reciprocity prophecy theory. If you want to talk about cursing Israel, forget about decrees about settlements by impotent bodies like the United Nations or forcing "land for peace" plans on Israel. If you want to test this boomerang curse theory, you need to look at the greatest curse ever perpetrated against Israelites since ancient Egypt: the Holocaust. After all, if the harsh enslavement of ancient Israel by Egypt set that nation back from ever being a top nation again, what should it do to a modern nation for mistreating modern Israel under the same boomerang curse protection? Safely say bye-bye to First World nation status and hello to Third World misery. But what if a nation executed a plan of genocide against Israel, successfully exterminating six million souls or roughly 37% of their world population at the time? If this boomerang principle was still in effect to any degree, you would see that nation be so devastated with a reciprocal curse that we'd still see it suffering from it for decades or centuries later, just like happened to Egypt. While Germany was indeed set back after losing WWII—the same as it was after losing WWI, and the same as any nation is after losing a major war—the story since then has been anything but a curse. Germany has been a top and leading nation for decades. It's the most prosperous nation of the European Union. After moving here in 2015, I can tell you it's incredible to see how beautiful and prosperous the nation is. Germany's world-leading prosperity is a major problem to this theory. When a theory requires you ignore major evidence like this to the contrary, there's a name for that. It's call cherry-picking, a form of confirmation bias. If you took away the tools of cherry picking and proof-texting, we'd see an end to 99% of popular prophecy theory. Sad but true. What About The Curse For "Dividing Up Israel's Land"
Joel 3:1-2 — In those days and at that time, when I restore the fortunes of Judah and Jerusalem, I will gather all the nations, and bring them down to the Valley of Jehoshaphat. I will enter into judgment with them there regarding My people and My heritage Israel, whom they have scattered among the nations; they have also divided up My land. What about this? Again, clearly nothing to argue about the principle being real. But also again, the question is one of when or timing. The context of the passage tells us the when: the time of the restoration of the fortunes of Judah and gathering of all nations. That's talking about the Millennium period or later. It's not talking about today. Nations are not being judged by God today dividing up Israel's land. Apparently they will be in the Millennium. Psalm 122:6 — Pray for the peace of Jerusalem: "May those who love you be secure. ... "
A promised blessing if you do the above. Psalm 122:1 — A Davidic song of ascents. I rejoiced with those who said to me," Let us go to the house of the LORD." This is not Jesus or even Moses speaking; it's David. This is not a command or promise for every Bible reader to pick up and direct at themselves. It's a song in the book of Psalms (songs) written by a Jew about going up to Jerusalem for the pilgrim feasts three times a year. He wrote it for an Israelite audience who would have interest and inclination to pray for Jerusalem's peace. It was their capital. You're free to pray for its peace or the peace of your own national capital instead. This brings to light the Christians habit of thinking "every promise in the book is mine! Every chapter, every verse, every line..." Ironically, that refrain comes from another song. But that's not how the Bible works. You can glean great wisdom and principles from the Bible, but it's not a book of universal promises or commands. Bear in mind that believers have lived for centuries without having access to a Bible just fine. They were not missing commands that they were supposed to do or missing blessings they needed to claim. If after all this you still think God today curses nations for cursing Israel, that's OK with me. I used to, too, but as time went on, I felt more and more that the theory was forced and evidence for it contrived. The final nail in the coffin for me was learning the pattern to God's judgment in the Bible. Whenever God judged or cursed a nation, he left not-so-subjective evidence tying the curse to what was done wrong. It is not so vague as something many days or weeks prior as champions of the boomerang curse theory allow with the wide goal posts. Instead, there is usually a warning by a prophet or angel as Amos 3:7 talks about. Or when there is no prophet, God leaves evidence that what just happened was not natural but supernatural or divine. That's how he handled it when the Philistines took the ark from Israel and put it in front of their god Dagon (1Sam 5-6). Dagon was found knocked down bowing to the ark, repeatedly morning after morning, ruling out freak accidents. Later, severe plagues came on whichever Philistine city was hosting the ark as it was moved from city to city like a hot potato. Similarly, in end time prophecy, before God judges the entire world, his voice will ring out to everyone in "seven thunders" (Rev 10:4=Ps 29:3). These seven pronouncements explain what is happening and why before God spanks the world. Consistently in the Bible we find it's no small or ambiguous thing when God judges. He makes sure people know and don't miss it was him. Christians seem to see the "judgment of God" everywhere, all the time, in just about any negative event in the news. But this does not fit the pattern given in the Bible. For more on God's judgement and discerning whether a recent disaster was from God, see Disasters in Prophecy. Than you, Tim, for not falling prey to people who want to “politicize” our Lord and the word of God. I’ve known Democrats and Republicans alike who claim to be Christian, but seem to me to be worshiping a false god made in the image that their own biases dictate. I enjoy reading your interpretations of God’s Word. The belief that God is ever diligent to whack somebody for something is most interesting. I used to be one of those who ardently supported such a notion. I needed a belief that reinforced a skewed vision of WHO God actually is according to literal Scriptural sources. My “God” had anger issues. It’s not that God isn’t interested in Israels well being but rather, that Israel has rarely and consistently been interested in accomplishing/maintaining Gods will. My interpretation was one-sided in that God was eager to reward or punish those who deal with Israel but I lacked a balanced interpretation as I couldn’t explain why Israel should be cared for so diligently when I knew from history and Scripture, that Israel did NOT share such a devotion. It was like Israel had a “Golden Parachute” Insurance Policy and although Israel smoked, drank and did harmful things to herself, somehow those sins didn’t matter because the coverage was so good. Finally, when forcing myself to READ the sources in strict context, my beliefs began to change. It was difficult but I’d rather be alone and know the TRUTH than to be in a crowd with a ” belief “. A lot of good points here. I do see Zechariah 14:14 different though. Judah is fighting at Jerusalem, not against it, and not fighting Jesus at His return as He will be also fighting for Jerusalem. At that point, I believe Jesus and Judah are both allies against the enemies of Jerusalem. Perhaps you can add some comments about that Tim. Ron, perhaps you’re unaware that when Jesus returns, all nations will have been under the Mark of the Beast for 3.5 years or, if they resist that, beheaded. The few faithful righteous will be lead from their home nations to safety. That means Israel like all nations will be marked and controlled by the Antichrist to fight Jesus. So when it says “EVEN Judah” fights at Jerusalem, it means even they, the one nation who received prophecy of the Messiah and wants him, will fight him at his return! Tim, when you referred above to the ‘old’ covenant, are you saying that God put aside His promises to the Patriarchs because of their not keeping it? Since no human walked through the two halves of the sacrifice with God (Gen.15:17) it would seem that God knew that Abraham would not be able to keep his side of it. Still God made it with him, us. Renewed Covenant is very different than new. I remind you that ‘Old Testament and New Testament’ are man’s words, not God’s. I believe curses by God, or warnings about them, are still to be taken seriously. I do not believe God ignores those who turn away from what His Word warns us of. Dave, I’m not talking about “testaments” or promises to the patriarchs. I’m referring to the same thing Hebrews does: the “Old Covenant” (made not with Abraham but with Israel at Mt. Sinai through Moses as conditions for them to live in the land) and the “New Covenant” (Heb 8:13) that will be against instituted with the regathered Israel in the Millennium as conditions for them to be in the land. When they were exiled it was because they had clearly run of grace and I believe demonstrably also out of the “curse boomerang” protection as well. In other words, we are between Israel’s Promised Land covenants which is why they are still scattered worldwide, mostly lost their identity and on their own (except for extinction protection). If this were not true and God was cursing those who cursed Israel/Judah then Germany would be a goner for what they did to Israel. They would not the greatest country of the EU and one of the greatest in the world. Although that may clear up a misunderstanding of what I said, I don’t think it will satisfy you as we have rehashed our differences on “Torah Keeping” many times before online without agreement. God bless you just the same and thanks for commenting. You really read my mind on this heretic lies propagated by a section of the ignorant church. You can’t tied God’s curse to present occurrence of environmental disaster or what ever. My problem with this over-solidarity pro Jewish or Israel people is that they overlook every wrong done by the Israeli government. I’m of the opinion that why can’t the Jewish people lives peacefully with the Palestinians as this is the nature of God. Confiscating lands without compensation is against the laws of Moses. Most Christians are oblivious of the fact that king Abimelec king of Philistines or Palestine made a covenant of peace with Abraham, the full content of the covenant is only known by God. God is a covenant keeping person and that’s the reason you cannot erase the Philistines from today Israel. Kate, Yes, but don’t you think God could have stopped that if he wanted to curse the nation who cursed Israel again? It does not matter how they got blessed, the point is they were not cursed they were blessed, yes? And against all odds after having a Hitler not only tear Europe apart but also have a plan at genocide. It’s quite remarkable Germany has done so well despite the tremendous cursing they did. It cannot be ignored. If a theory requires you ignore something this big, the theory has a problem, yes? As Christian, we are taught in the bible to love Israel because God has chosen the Jews and given them all the land. However, I do have a problem with Israel today as most autrocities and weapon deals came from Israel themselves. Having all hands in all wars plus supplying weaponry to ISIS in Syria war. Dont forget that George Soros also a Jew from Hungarian whom has cause lots of crimes against humanities in this world and he is still doing it today. Sharon, I don’t know any verse teaching to love Israel, although it does say to love your neighbor = everyone. What some call atrocities I would mostly call Israel justly defending itself. Here is a scripture that gives support for us praying for and loving Jerusalem and its people: “Pray for the peace of Jerusalem: May those who love you be secure. May there be peace within your walls and security within your citadels.” Psalm 122:6-7. Brian, I have now answered that in the article. Tim, not trying to make waves, because I do not believe this way but what are your thoughts on the rising movement of Black Hebrew Israelites claiming similarly that the people who comprise current Israel are not the real children of Israel. The Hebrew Israelites believe that black people are the Lost tribe of Judah. I have not watched the Nehemiah Gordon video but I will. What’s your take on this. I’ve never heard of them, but if you watch the video I think you’ll get the ammunition you need to debunk that claim, too. Also doesn’t my prophecy proof in the article help, that Judah is in the land already ready to fight in the next two coming major wars at Jerusalem? To me that’s the best evidence there is. predicted for “Planet X/Wormwood” was too soon for the other prophetic events to take place (however, I don’t totally discount the work other believers have done on this subject). God bless! I am discovering your writings for the first time and you do challenge me in a good way some of my (probably) extreme views about Israel and prophecy. In light of blessing and cursing Israel, and Germany experiencing blessing after the Holocaust, it can take some time for God’s cup of wrath or cursing to be outpoured. Might it be that Germany (and France) (two countries who ought to have had better sense) might be called upon in a big way to fight for their very existence since God has blinded their leaders’ eyes to the perils of Islamization? This could be a cursing that might befall more nations as well. I host “Friends of Israel” on Facebook and I very often respond to inboxing by telling followers they are blessed because they love Israel. Since your article kind of debunks that idea (loving Israel, and I agree with you), I will still say that for this reason: For a person not living in a prosperous and free society like us to see something in Israel and its history that they love, their spiritual eyes are open. I would encourage all of us who want prophecy to come alive, to open our eyes to what is happening in once-free Israelite countries (mostly Anglo-Saxon and west European) and see how Evil is attacking the people of God and trying to subdue and replace them and their true God with other Gods. Blessings to all who read this.